Wills and trusts attorneys at the Law Offices of Michael W. Alpert can help you address all legal needs related to setting up wills and trusts. It is important to have a properly drafted will in order to give clear direction as to your intent as to how you would want your estate to be administered. Without a will correctly drafted by an experienced wills, trusts and estates attorney, there will be a great deal of uncertainty as to how assets and property are to be administered. Further, complications can arise as to how to care for minor children in the event of your death. Please know that the Law Offices of Michael W. Alpert, Esq. 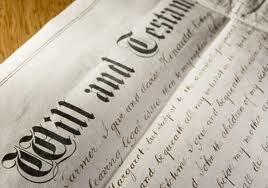 will ensure that any will drafted by our office will be legally valid, clear, and unambiguous. Contact us today at 516-280-7288 for a FREE consultation. Simple Will vs. Living Trust: Which One Is Right For Me? Revocable trusts can be used to avoid probate, and are commonly used for individuals who may own real property in one or multiple jurisdictions. Revocable trusts can be used to create a uniquely tailored and specific course of distributions for the beneficiaries of the trust proceeds. Irrevocable trusts are used as a tool to protect assets against the ever increasing cost of long term care, and can be an effective device to make one eligible for Medicaid benefits. Both of these trusts can also be created in such a way to avoid estate tax liability should the value of the gross estate exceed certain state and federally imposed limits. As a general rule, while the creation of a living trust (revocable or irrevocable) can be more expensive to set up and administer, it has the important advantage of avoiding the probate process. The will must go through the probate process, and therefore the determination as to whether you want to structure a trust to avoid the probate process is one you can discuss with a Long Island, NY will attorney or trust attorney at the Law Offices of Michael W. Alpert, Esq. We are experienced in the drafting of wills and trusts in New York, and gladly serve the estate needs of those living in Nassau and Suffolk Counties. For more information or to schedule an appointment with an experienced Long Island wills and trusts attorney, please contact us online or call (516) 280-7288 for immediate assistance.